Any love for Epi Les Paul Bass? 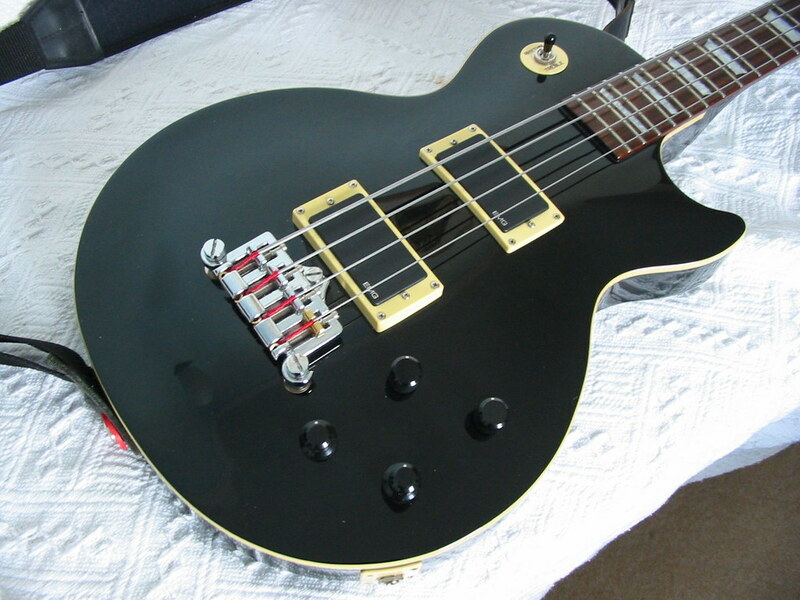 I'm attracted to an Epiphone Les Paul Bass, anyone got any experience of this instrument please? Back around 2011 Gibson made a limited run Les Paul Junior DC Bass (apparently only in Pelham Blue) with 30.5" scale. If Epiphone made one in cherry I would buy it immediately, and I'm not even a bass player. 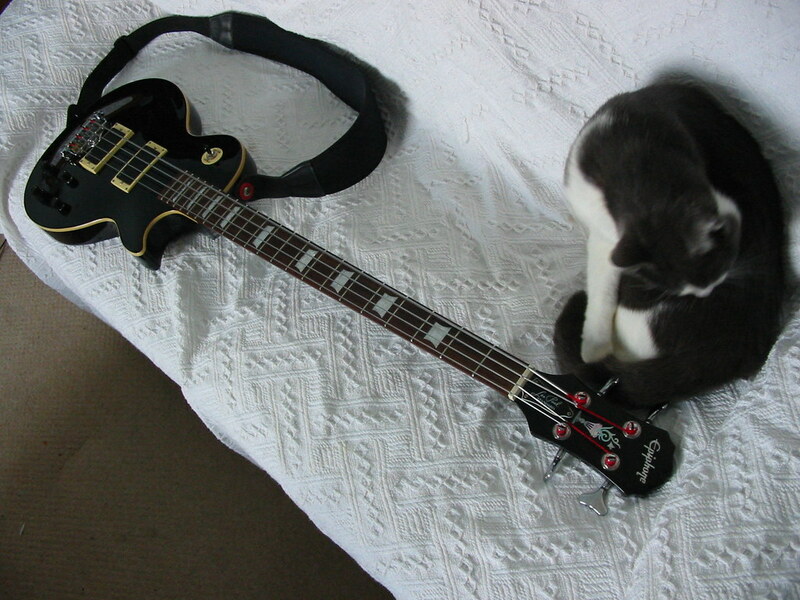 I owned an Epiphone Les Paul Standard bass back around 2004. It was nice, and I wish I had kept it, especially since they don't make anything like them anymore. Trapezoid inlays, body binding, two guitar-sized humbuckers, Les Paul shape, set neck - all the essentials of its iconic guitar counterpart. It had a rich sound and great versitility thanks to the two humbuckers and separate volume and tone controls for each. I certainly would recommend them, if you can find a used one that's in decent shape. Personally, I"d love to see more of them from Epiphone - maybe a special limited edition tribute to Les himself, including a bass model as well as a guitar. If anyone from Gibson/Epiphone is paying attention, I think the ideal setup would be: Mahogany Body and Neck, set neck, body binding, neck binding, carved maple top (Flamed Maple would be amazing, but plain woodgrain is classy as well), classic tri-point bridge (more room for intonation adjustment when compared to a Tune-O-Matic style bridge with stop bar tail piece), two guitar-sized humbuckers with the plastic mounting "ring" around them, two volumes and two tones, trapezoid fretboard inlays, a pickup switch in the usual Les Paul location, and transparent cherry as one of the finish options (Heritage Cherry Sunburst, Ebony, and Gold Top are also classic selections). 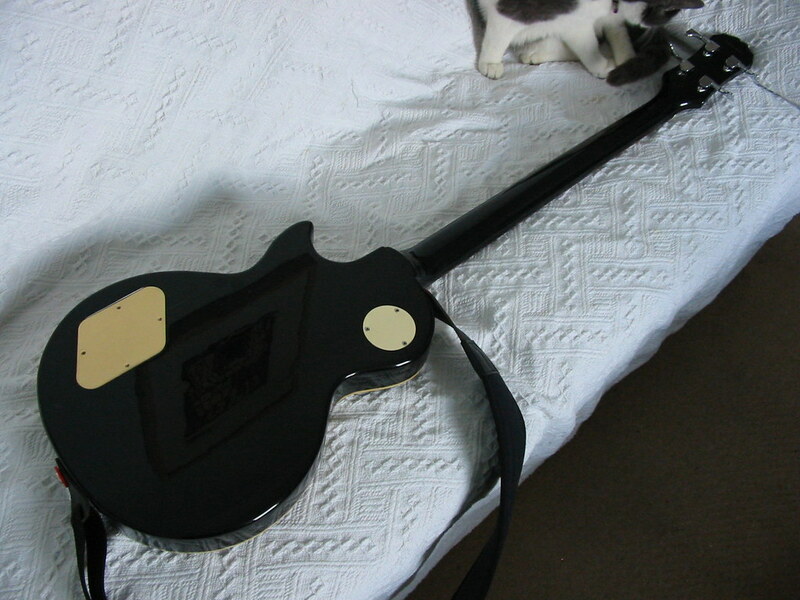 I'd also like to point out that back in the mid 1990's when I saw the Gibson Les Paul Double Cutaway Standard I contacted the company suggesting a scaled-down version that was essentially the Les Paul Double Cut Faded that they later introduced, and that seemed to be a successful design, so... I like to think I know a little something about the features that make instrument models popular. Seriously, nearly every guitarist who can has some type of Les Paul guitar or another. Why shouldn't bass players have that option? Well, I wanted one of these for years and finally bit the bullet and bought a used one, very nice instrument, set neck, nice see through red finish, with a bit of flame on the top, probably a veneer, but still nice, but verything about it was really well done but, I hated it! Nothing wrong with it's comstruction, it just wasn't me! Doh! 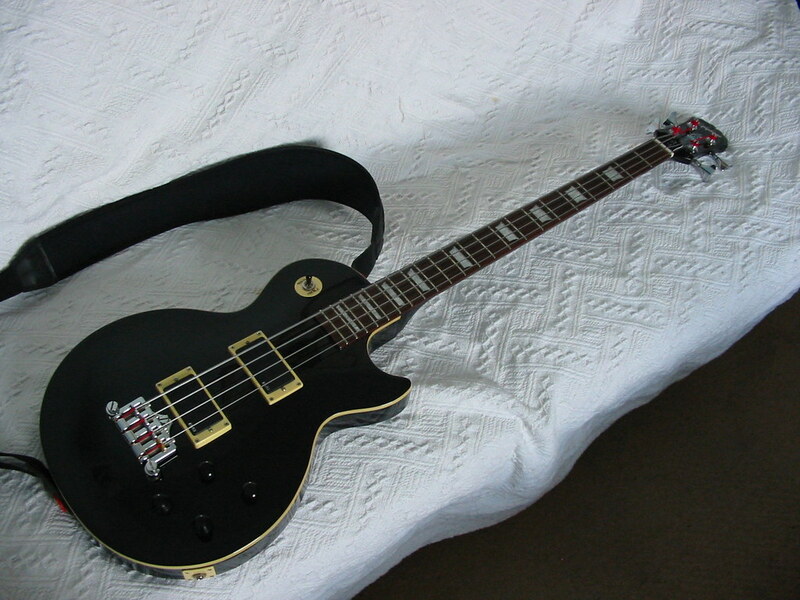 I love my Epiphone Les Paul Standard bass. MIK 2004. I wasn't blown away by how it sounded in stock configuration though, so I gutted it and tricked it out with EMG stuff (HB pickups and a BQC 3 band EQ). Also I found that the body has the channel routed out for the selector switch but it just isn't installed (presumably these begin as guitar bodies) so I installed a switch in the standard place. Sold it once, regretted it, managed to buy it back off the guy I sold it to a few years later. It's a keeper! I've been looking for one in Heritage Cherry Sunburst. Have an 05 LP Special Long scale in flame Red. Absolutely awesome! Had a P bass back in the70’s. Nowherenear asmuch fun!